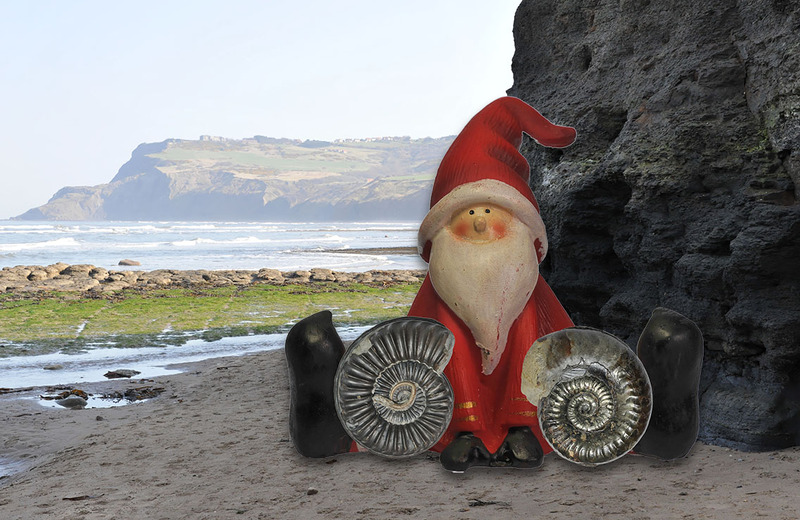 Santa is having a small Coroniceras sp. 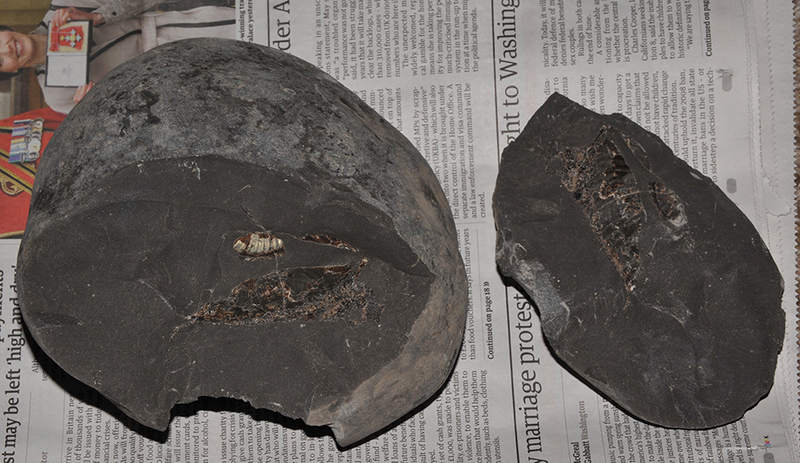 (left) and a Grammoceras thouarsense (right) leaned against his knees. this year for collecting (strong withdrawal symptoms…). how much time you can spend on the computer. so I need to look at 2016 as a rough estimate for publishing. 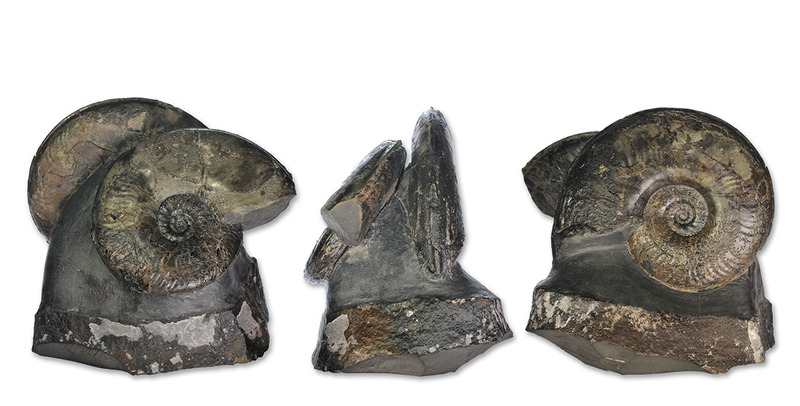 photographed some stunning new specimen and became a fan of the lowest of the lias. home from home, we can´t wait to be back in 2015 (hopefully at least twice !). Finally – Spiny, spikey cephalopods ! that you´ll see some more blog posts next year ! 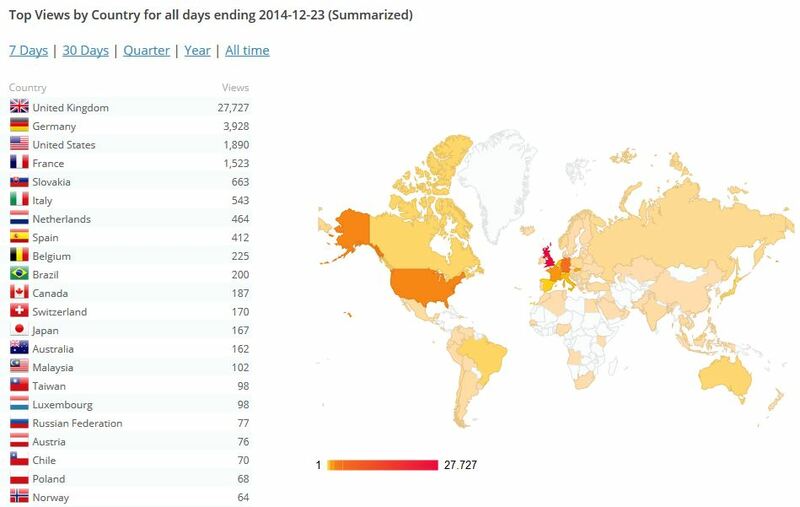 All time visitors by geography – not many white spaces left ! doing a gap year in Cambodia. With best wishes for a peaceful, happy time for you and yours, wherever you are. Androgynoceras maculatum, 8 cm, split nodule as found. The end part of the body chamber is on the negative part of the nodule and had to be transfered to the positive side. 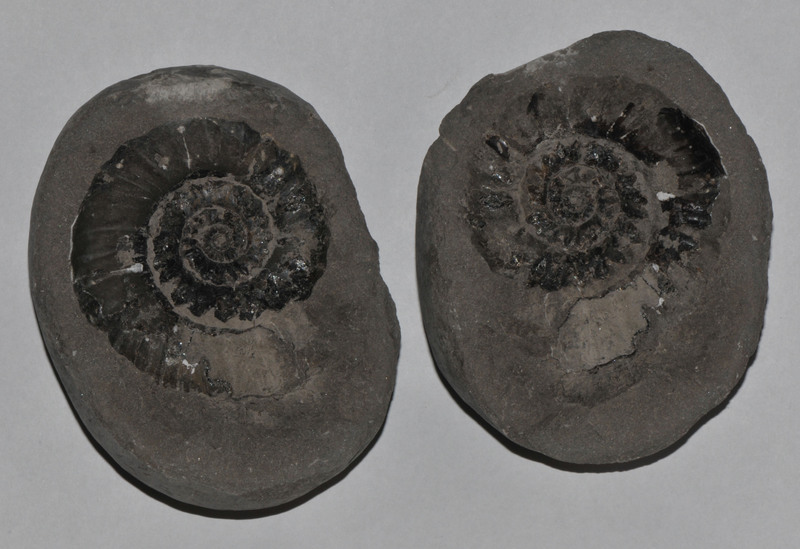 The secret to achieving completely preserved ammonites is – do as little as possible in the field. The highest risk of loosing bits of the ammonite is when you work it with the crudest tool you have : Your hammer ! Recognize it as early as possible : When you find a likely looking nodule, don’t just whack it, instead take your time looking at it from all sides to see if any part of an ammonite is showing. If it does, and the nodule is not too heavy to carry, just bag it and take it home. 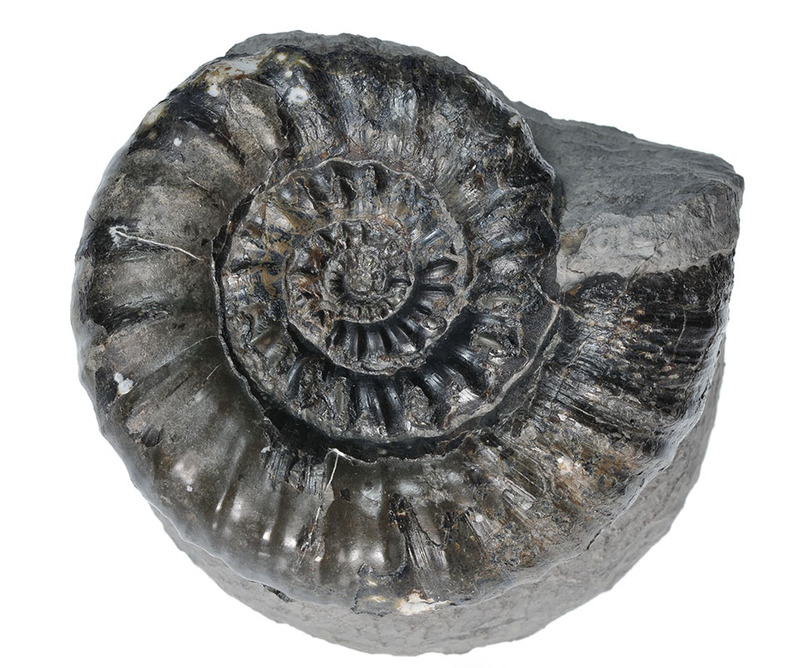 Should during this process any part of the ammonite be split off : Do not throw the split off pieces away, even if they seem insignificant, try to glue them back on right away , if it’s a simple break. I carry both liquid and gel type super glue with me for this purpose in my collecting rucksack. I have found that many times the split off piece contained the mouth border, because I misjudged its position in the matrix. Don’t try to glue complex breaks in the field though, instead carefully wrap the broken off pieces and take them with you. Complete the job, when you find a likely looking nodule – don´t stop after the first blow of the hammer does not reveal anything interesting. Use enough wrapping material so that the pieces don’t rattle against each other in your bag/rucksack/etc. I’m using bubble wrap recycled from used jiffy bags – they make a nice pouch to put your fossil into. Once you are at home, you have all the time in the world to glue any complex breaks, wash the nodule, think about your prep strategy and execute it leisurely. It can sometimes help to mark the position of the ammonite on the outside of the nodule before you glue any pieces back on, especially when the nodule completely hides the ammonite when the pieces are glued back on. 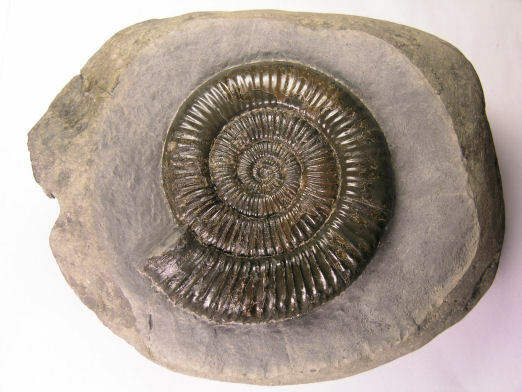 Who knows when you will find the time to prep it – until then you might have forgotten what the position of the ammonite is in the nodule. 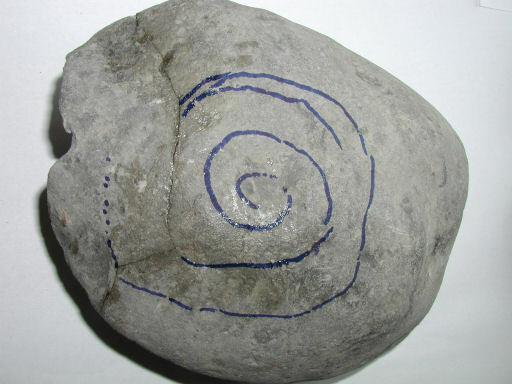 Nodule with Zugodactylites – approximate position of the ammonite marked before glueing the nodule. Take your time prepping the specimen. Sometimes, especially when you’re relatively new to prepping, it is better to practise on not so well-preserved specimen, and leave the better preserved ones til later, when you have gained more experience. Don’t prep in a rush – it’s no good trying to finish that ammonite in the short timeframe before you need to pick up your kids/lunch starts/your favourite TV series starts etc… I’ve found that my prepping is best when I’m relaxed and my mind is at peace. 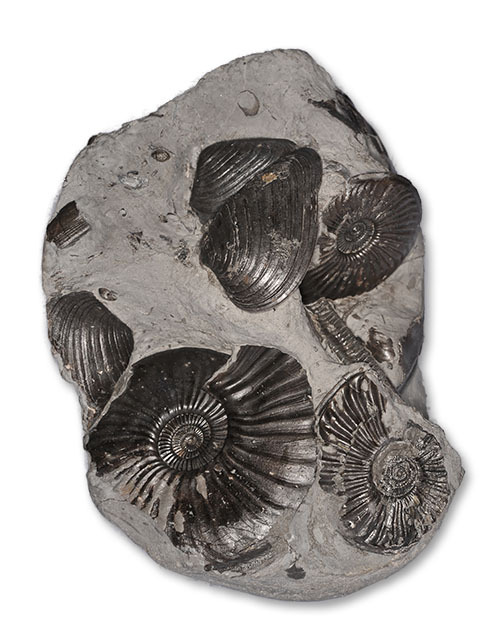 If there are other faunal elements like bivalves, gastropods, crinoid pieces etc on the piece – leave them there, don´t try to get your ammonite on as little matrix as possible, sometimes these combinations of different types of fossils are much more beautiful (and scientifically interesting) than a single ammonite. 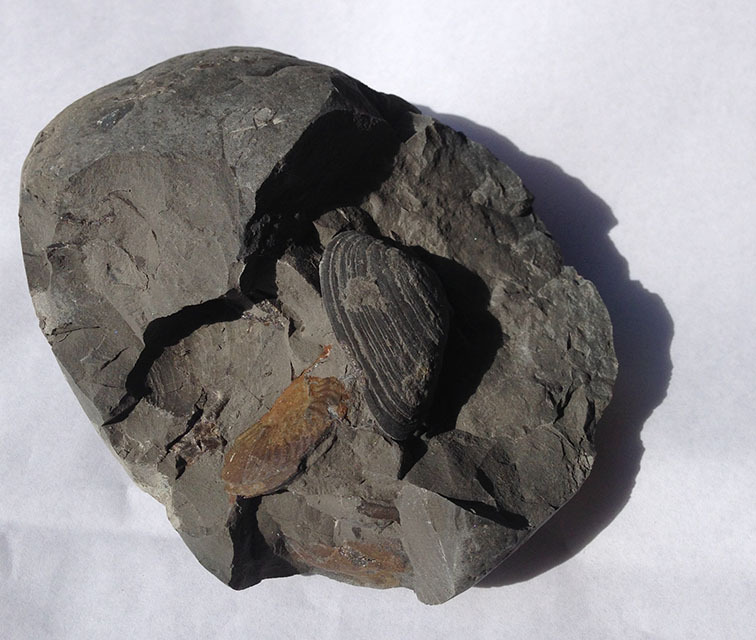 Nodule with 1 Eparietites ammonite and 1 Cardinia bivalve showing after first blow with hammer.